run as the current user. --sticky-broadcast : Send broadcast as a sticky broadcast. i: print the given Intent specification as an android-app: URI. ck start: start a new activity on <DISPLAY_ID> using <INTENT>. makes sure <TASK_ID> is in a stack with the specified bounds. processes associated with <PACKAGE>. Only kills. on <PERMISSION>: Require receiver to hold permission. mmon form is [-e <testrunner_flag> <value>[,<value>...]]. ocess to profile; uses current user if not specified. reen-compat: control screen compatibility mode of <PACKAGE>. the information about activity stack <STACK_ID>. 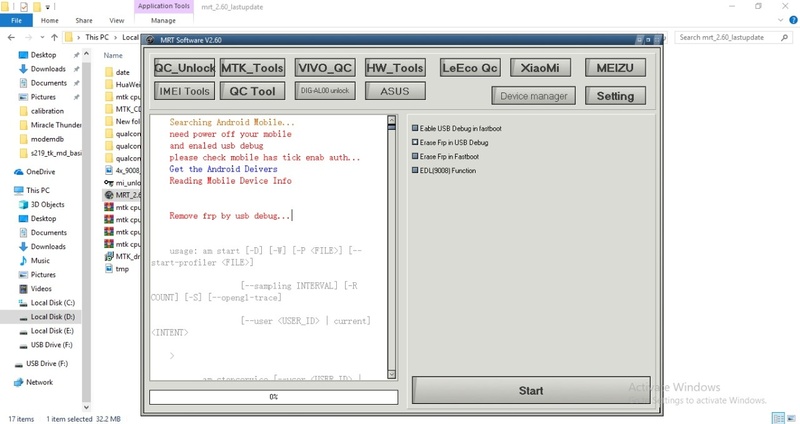 But how to enable usb debug on frp locked device? With mrt? If u don't mind can u share that tricks? can u share with us brother!